Join Sherri J, childcare guru as she shares her Success Souvenirs as it pertains to the world of childcare. 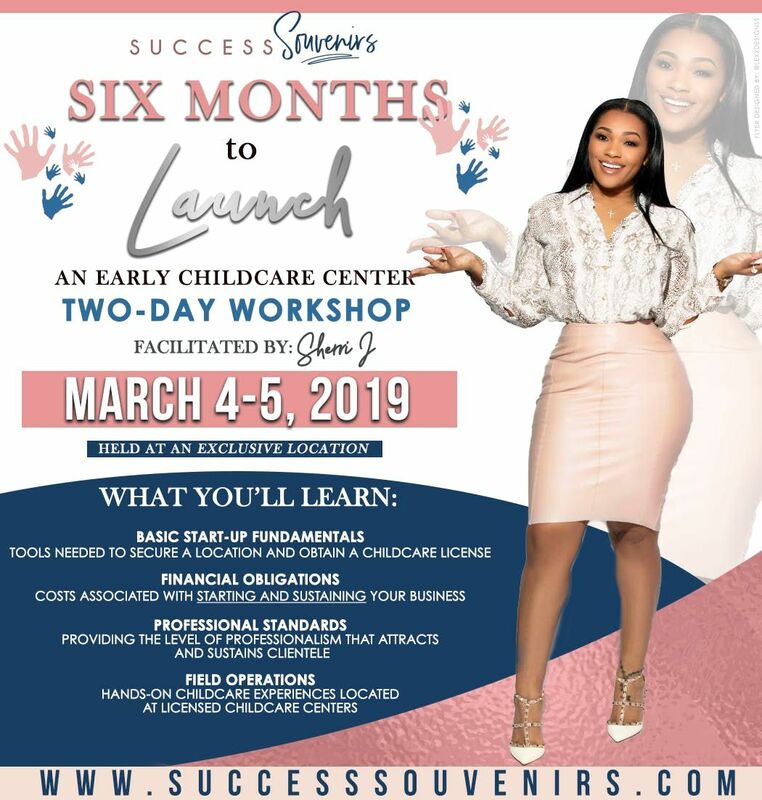 This 2 day hands on workshop will give insight to those interested in opening their own childcare center from an owners point of view, while providing an interactive, hands on experience to participants that will directly give them the blueprint into being successful childcare owners. 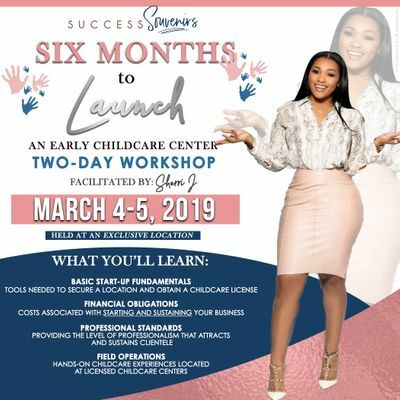 This is an amazing opportunity as this class is being taught by a seasoned childcare owner who has succesfully opened 11 childcare locations over her 10 year career span, 3 of which are her own. Early Bird Special (Must submit registration by 3/5 midnight) $2,250 with a $275 NON REFUNDABLE deposit. Remaining balance is due on the day of the class via Cash or Money Order. Regular Price $2,750 with a $275 NON REFUNDABLE deposit. Remaining balance is due on the day of the class via Cash or Money Order. There are NO REFUNDS for this event. Deposits as well as remaining balance is NON REFUNDABLE. Deposits and money paid can be transferred to another event date if the event is cancelled or postponed. No, deposits and registration are non transferable , unless the class is cancelled or postponed. Who are the best candidates for Option 3 and 4 ? In most cases these candidates have already started their childcare licensing process and are already moving forward with becoming childcare owners but need this workshop to help them somewhere along the way. * Have everything in place already to proceed to the next steps after this class including funding, zoning, and most county related licensces and requirements . If I purchase Option 3 or 4 and do not have my center ready to open within 6 months do I lose the money paid for the resource package? Yes, this package is not designed for those who do not anticipate being open within 6 months after this course. This package is an INCENTIVE for those that plan to be open within 6 moths and dont want to do the leg work to locate quality vendors. After that the participant will be responsible for locating their own vendors.